Addington is situated within the London Borough of Croydon, lying 11 miles south of Charing Cross. Geographically considered to be part of Surrey, the town’s main attraction is the 18th century mansion Addington Palace while the cricket field is reputed to be one of the oldest in the country. Tramlink services provide a connection to Wimbledon while the nearby village of Hayes offers the closest mainline services to central London. The A212 provides access to the area by road. Carpet shop and underlay fitting in Addington, Surrey. Our in house team of carpet fitters specialise in delivering seamless fitting for all your carpet and underlay needs. 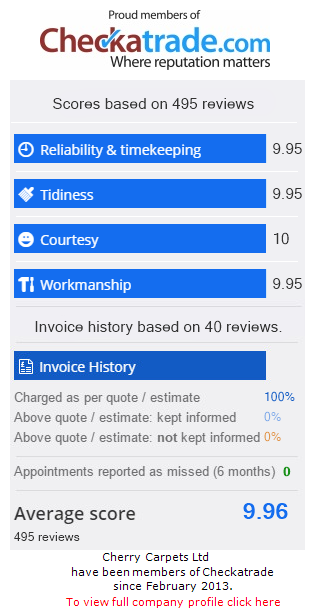 No gaps or overlaps — just a 100% professional service. Unsure what type of carpet you need? Talk to us. 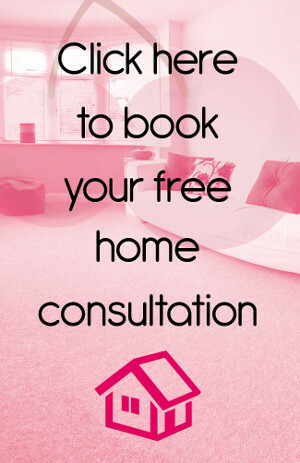 We're happy to offer advice, backed up by years of experience and knowledge and we provide a free of charge, home sample service which means we can bring the carpet shop to you in Addington, Surrey and you will benefit from the best possible prices available because we do not have the cost of shop front to include within your price. Real wood and engineered wood fitting in Addington, Surrey. A wooden floor brings rich beauty and character to your home. Installed correctly, a wooden floor can last for many, many years, while natural changes in colour will ensure your floor acquires a look unique to your home. Whatever type of wooden floor you desire, be it real wood or engineered wood, you can be sure that we have a qualified and fully employed fitter who can install it. At our company we pride ourselves on sourcing wood from specially chosen suppliers, and we're happy to answer any questions you may have about the wooden floors we can supply and fit. Laminate flooring company in Addington, Surrey. After our fitter installs your laminate floor, you'll find it easy to maintain. Spillages from children (or adults!) are simply wiped away, leaving the surface looking as good as new. Plus… laminate flooring doesn't hold dust particles, so it’s the ideal option for people with dust allergies. Luxury vinyl tiles including Amtico, Karndean for sale and fitted in Addington, Surrey. If you're looking for a floor offering luxury, quality and practicality, look no further than luxury vinyl tiles. Distinguished suppliers such as Amtico and Karndean have built up a reputation for stunning products that will transform any room. At Cherry Carpets, our fully employed fitters have extensive experience in installing all types of luxury tiles, including Amtico and Karndean, but also own brand luxury vinyl tiles which give you the quality, look and feel of some of the premium brands, without the price tag. Prepare to impress your visitors, and give your feet a treat (these tiles may look just like stone or ceramic, but they won’t feel cold underneath your feet). Vinyl flooring and linoleum fitting in Addington, Surrey. Vinyl flooring (cushioned vinyl) is a great option if you're looking for a cost-effective synthetic flooring that is long-lasting, yet soft underfoot. For something natural and biodegradable, try linoleum. At Cherry Carpets, we source and supply linoleum made with linseed oil and other raw materials. Both options are water-resistant, durable (they’re known as “resilient” flooring for good reason), and ideal for high-footfall areas such as kitchens and bathrooms. Both also come in a range of designs, which a professional fitter from our company would be happy to install. Bathroom flooring company in Addington, Surrey. You'll need something hard-wearing, but also easy on your feet. Something water-resistant, but also easy to maintain. We want you to be completely happy with your choice, so feel free to contact us before making a decision. We're happy to offer advice and we provide a free of charge, home sample service means we can bring our shop to you in Addington, Surrey. We can discuss your requirements, give you information about the extensive range of bathroom flooring options available, and explain how we would install the flooring in your bathroom or wet room to give you a stunning look. Custom and bespoke flooring company in Addington, Surrey. Want to give your floor a style unique to you, or have a stair carpet that you would like to be a real feature in your home? Try a bespoke fitting. If you have a particular colour or a special design, we can provide exactly what you need. We have had many, many unusual request for custom and bespoke flooring over the years and welcome your enquiry. And if your room is an unusual shape? No problem. We will come to your home and provide you with a free of charge quotation and you can choose your flooring from the comfort of your own home.